New Hanover County in North Carolina on Thursday became the first county in the United States to deploy a Super Wi-Fi network, but the real question is will it also be the last? The technology, which uses the unlicensed spectrum between the digital TV broadcasting airwaves to deliver a wireless broadband signal, is not as healthy as the pomp and circumstance surrounding the launch may indicate. And as of now it’s fate as a mainstream technology is in doubt. Super Wi-Fi would allow for broadband service to be delivered over the air like Wi-Fi is, but over a much farther range. So with a connection back to a cable, DSL or a fiber line, Super Wi-Fi can be used to create a Wi-Fi-like network that offers a range of up to 100 kilometers. However, the current spectrum bill wending its way through Congress makes delivering Wi-Fi in the digital TV spectrum an iffy proposition, and the tech firms that so ardently supported the technology have fallen silent on the importance of using this spectrum for unlicensed broadband. The spectrum bill, that is part of an effort to take some of the digital TV airwaves away for cellular use, will make it hard for crowded urban markets to find enough channels to deliver plentiful Super Wi-Fi service. One might not think this is a big issue since urban areas typically have other wireless options in the form of cellular and plentiful Wi-Fi, whereas rural areas could really benefit from a long-range wireless service. But, in the electronics world getting more customers is essential for lowering the costs of the technology. In short, building network equipment and radios for 3 million end consumers in 100-odd towns is going to be more expensive on a per-person basis than if it were deployed among New York’s 8 million+ residents. One bonus though for rural dwellers and other white spaces proponents is that England is also deploying the technology, creating what may be a larger market. In previous interviews with Carlson Wireless CEO Jim Carlson, which makes radios for white spaces devices, he’s told me that he thought the gear to create whites spaces networks would be in the $400 per subscriber range in 2012 and it would drop to about $200 as the technology gained adoption. But it’s unclear exactly how far the technology must spread to see those rates drop. 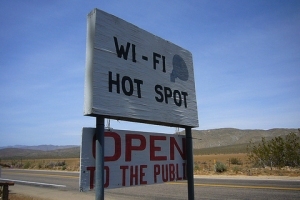 He sees the rural market as being important, but is also betting that the oil and gas markets and other industries that have to provide service in remote areas might also shell out for Super Wi-Fi. In the meantime, the U.S. will have to keep an eye on Wilmington, N.C and other test networks, such as the one operated by Rice University in Houston. This is great. We need to provide wifi as a public service, like many other country’s around the world. I don’t see this lasting, these super wifi networks will get ruined because of the bandwidth issues surrounded around video streaming. Love it. We need some disruptive tech to bring down the rip off LTE 4G data cap crooks. White Spaces routers can be mass manufactured at $20 and it can be used to create a worldwide free wireless broadband network for all. Carriers aren’t happy about the idea and that is why they are trying to block it. there you have it and why we most likely will never see it, at least in the US as our government officials will do whatever big business tells them to do.